Are you excited to work your way to a more organized Christmas? Today marks the first day and task in the 8 Weeks to a More Organized Christmas series that I hope will be super helpful to you! Alright, on to the first task, an important one. 🙂 This week, if you haven’t already, sit down with a hot cup of tea, coffee, hot chocolate… and create your holiday budget. This is what you think your holiday season will cost and will allow you to put limits on your holiday spending to keep you from shopping regrets if a credit card bill comes your way! Now, those suggestions were just a guideline. Every family is different and has different needs. My intent is to bring to mind every possible thing that could incur an expense during the holiday season. I’m sure many of you won’t even see half of these things on your list. Also, in my mind, a more organized, more stress-free Christmas means not only less stuff, but a simpler season. If after writing down your expenses, you’re scared of the number you see, you have two options: Decrease your expenses or increase your income. To make a happy holiday season, you really don’t need to spend a lot of money. In fact, I’m daring to say, that being extravagant in your spending can be overwhelming not only for you, but the recipient as well. As a child, one set of grandparents used to be quite extreme in their gift giving. It was SO exciting, but I remember being quite overwhelmed with all the gifts once Christmas was over. Gift giving is probably the easiest expense to cut back on. If you have a large extended family, consider drawing names so each member is only responsible for one gift. Or do what our family does and only give gifts to the children. My parents have also started to set a $20 limit on each other in recent years. Jesse and I exchange stockings. 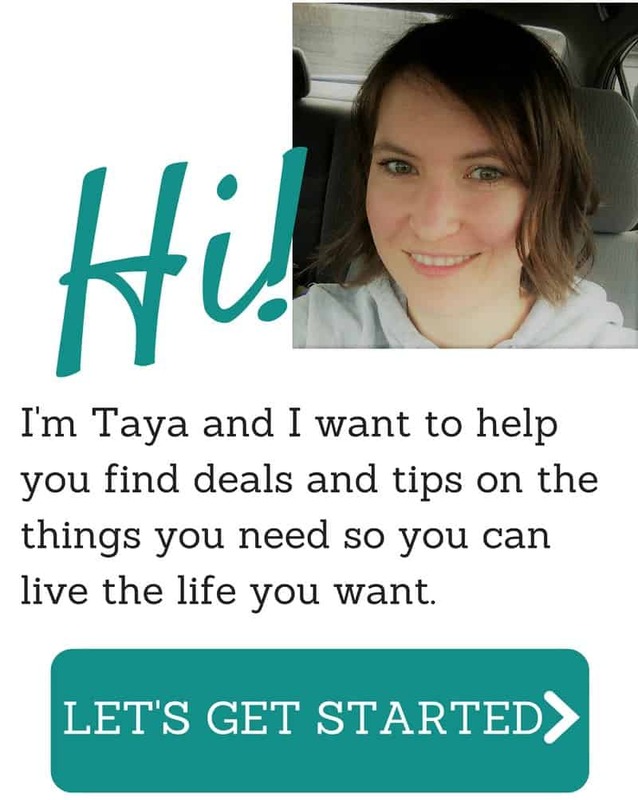 Setting a price limit on each gift will allow you to shop within that budget. If your limit on sister Sue is $30, then that $50 purse is off limits. It’s possible to decrease your food budget too by shopping the sales and limiting the baking and Christmas dishes you prepare. When it comes to decorations, why not create some memories by making some homemade decorations? (I’ll be featuring some ideas in a few weeks) Or read my Fond, Frugal Christmas Memory post for a fun Christmas tree idea. If decreasing your holiday expenses is not an option, then consider increasing your income. Many retailers hire for the holiday season (and may offer an employee discount!). sell extra baking to those that may not have much time to create their own. 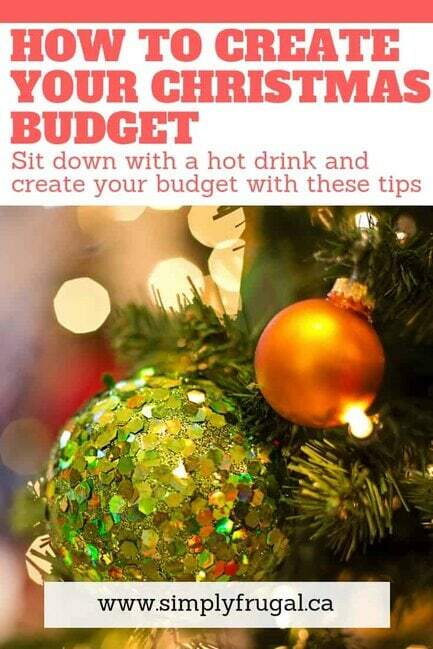 What are your tips for staying on budget at Christmas time? Reader Question: Frugal Meals for One? That is a great idea! The list I provide is quite extensive (so as not to miss any details) but I encourage everyone to take a good hard look at their personal situations and plan accordingly. You’re doing great! We enjoy the Christmas season and have never gone into debt for it. In Canada, the government stops collecting CPP and EI around June/July. We put that money away in a separate account for Christmas. I buy kids clothes on Black Friday when things can be up to 90% off in person and on line. Shop for food that’s non-perishable weeks in advance as the price goes up as you approach the holidays. That savings account has even helped cover seasonal emergencies. One year, it paid for new tires! And it’s money you didn’t have for half the year anyways, so save it! To keep Christmas stress free my Hubby and I (OK me) only buy gift cards for the kids 18 and under. Both sides of the family now do this and Christmas is ZERO stress zone for us. We spend TIME with our families and it so much fun! The gift of time is best for us.